You read the parenting books as your belly grew, and though you likely skimmed the section on colic, until your baby began to scream for three, four, five hours each night, chances are you didn’t really understand just how difficult colic can be. 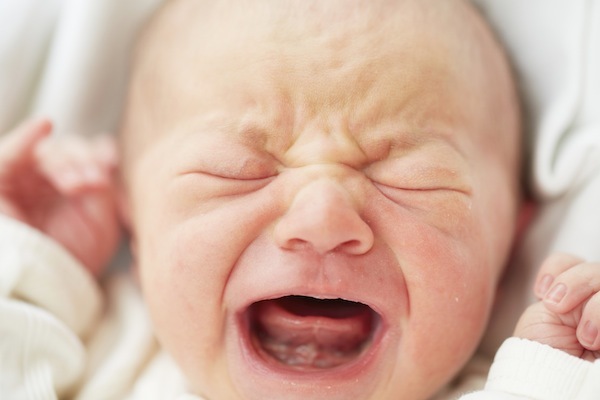 If you have a baby with colic, you aren’t alone. Sources say 25%-40% of infants suffer from this condition, and since a definitive cause has not been found, neither has a definitive cure. The good news is that colic usually disappears by the time baby hits twelve weeks old. However, those seven or so weeks leading up to its departure can be devastating for everyone involved. Unfortunately there is no one-size-fits-all fix, but parents have found different methods to ease their infants during these crying spells. Here are some steps you can take if your baby is inconsolable. Visit your baby’s pediatrician to rule out medical problems. Things to look for include normal bowel movements, appropriate weight gain and the right number of wet diapers. 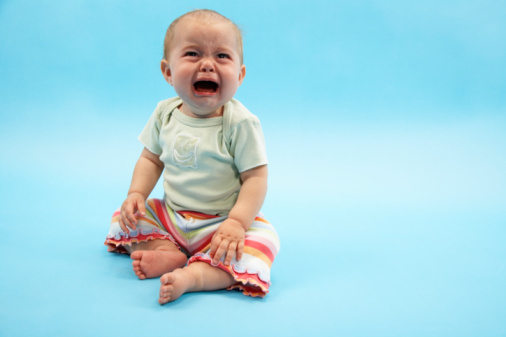 If your infant’s pediatrician cannot find a health reason behind the crying, move on to step two. Hold your baby. Many parents find holding their baby close during these crying spells reduces the volume and/or the length of the episodes. You might try lying down with baby on your chest, making skin-to-skin contact, or wearing your baby in a sling around your body so your chests are touching. Make a loud consistent noise. Some infants respond well to noises that are louder and consistent in pitch. Try vacuuming or sitting behind a box fan with the fan’s wind blowing away from you. White noise machines sometimes work for some infants, and even standing near your clothes dryer while it runs might soothe your baby’s nerves. You can also use the sound of falling water. Use a small tabletop fountain or turn on the sink or shower and let it run as you hold baby nearby. Noise machines that produce sounds of waves and rain may also help. And while trying a variety of techniques to help soothe your baby is important, so is taking care of yourself. When your baby cries for hours without responding to your attempts at soothing, you can become depressed, frustrated and angry. Dr. Wendy Walsh explains that instead of constantly focusing on your baby, figure out what you need in order to have the patience to continue loving your infant. What might this look like? Try to take a nap when you can. Get away from the house regularly. Ask others for help often. Debi Cox, whose son suffered with colic as an infant, explains that one thing she never regrets doing during this difficult phase was asking for help from others. Although this won’t make the crying stop, it will allow you time to find some peace and comfort during an otherwise highly stressful time. Asking others for help definitely seems like a good way to help deal with this situation since not all cases can be solved right away.